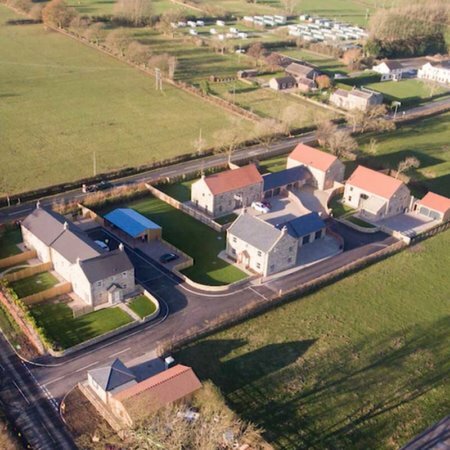 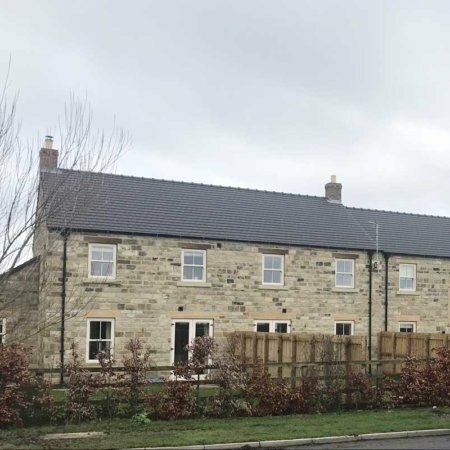 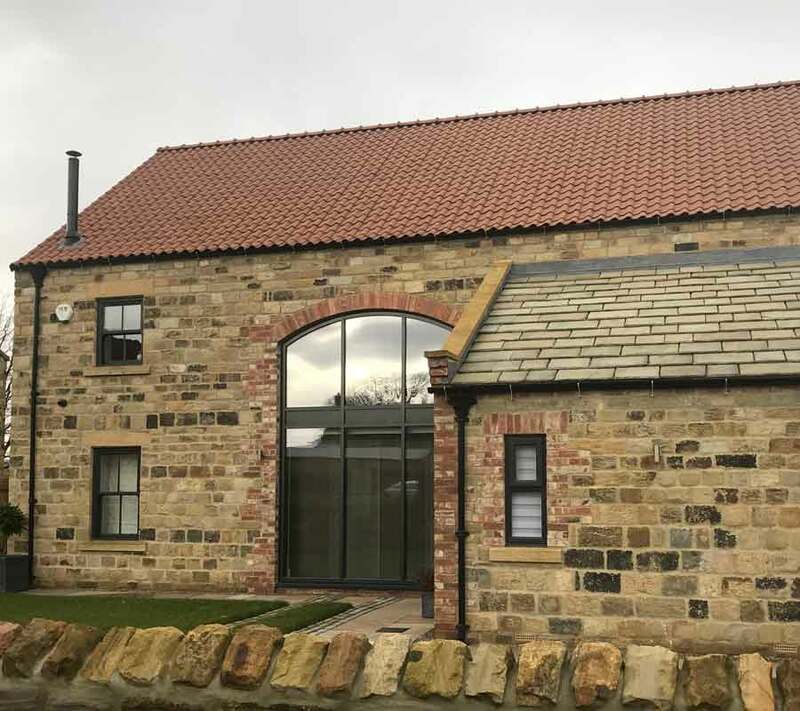 The Challenge – Harrogate Borough Council planning department insisted that the development complimented the surroundings buildings and give the feel of a traditional farm sted. 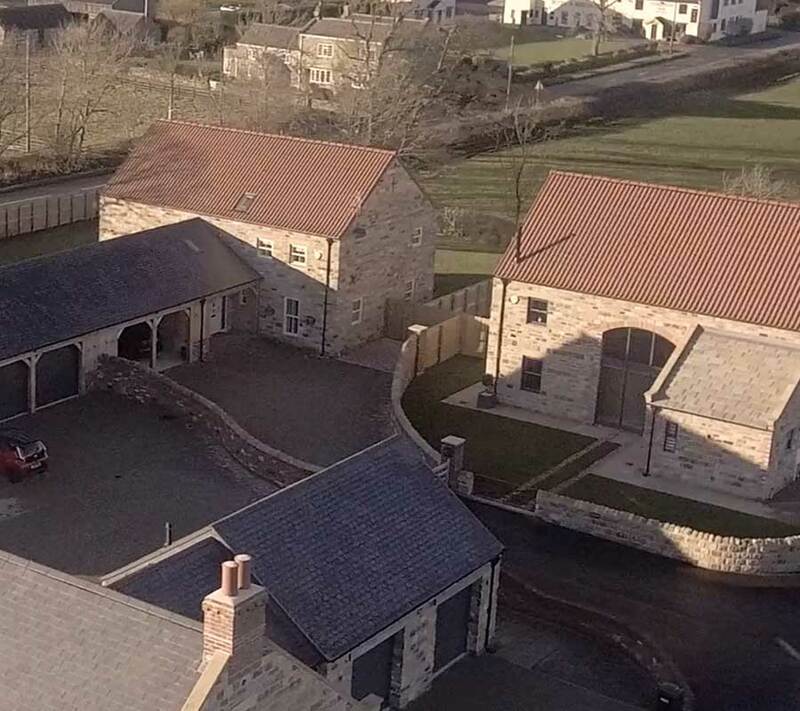 The initial remit given by the developer was that he wanted to create bespoke village homes using high quality random reclaimed walling stone. 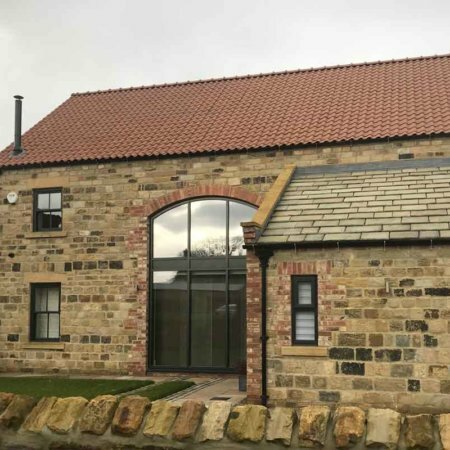 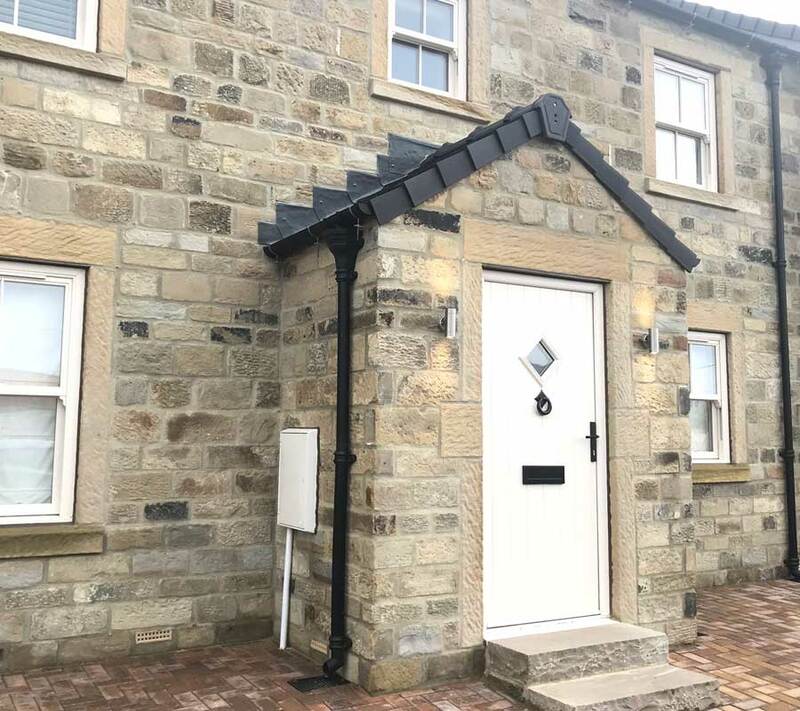 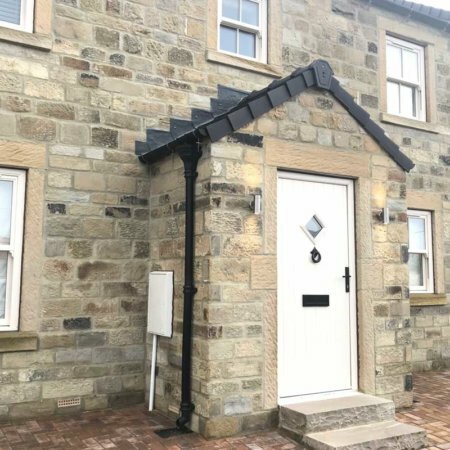 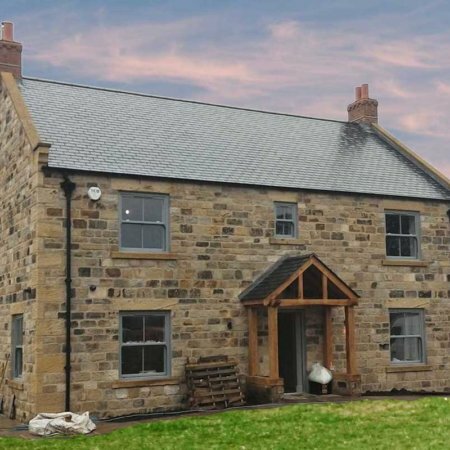 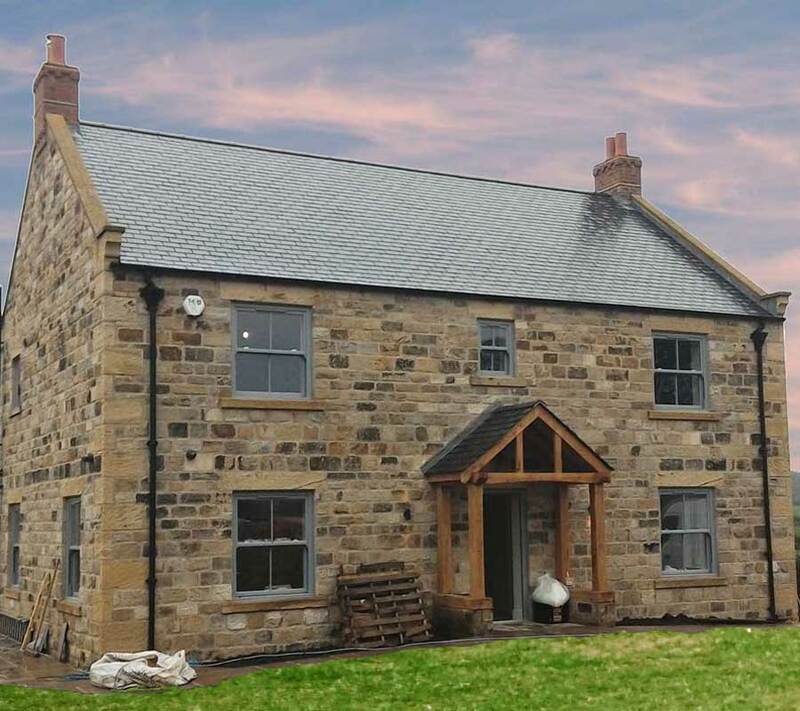 The Solutions – Our reclaimed stone specialist Darren worked with the developer to meet planning requirements and his vision within a set timeframe and set budget. 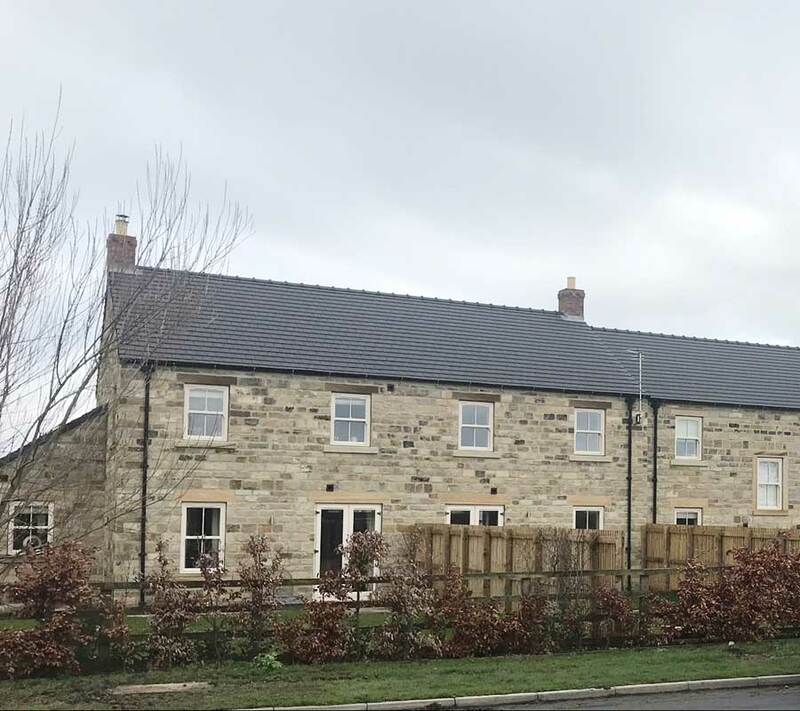 Sample panels were produced for approval by both the council and the developer. 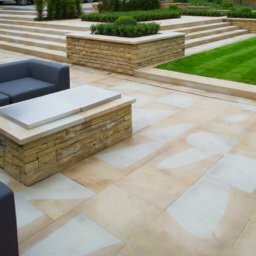 The stone was then sourced from multiple demolition sites, hand dressed, mixed and coursed in our yard by our in-house stone dressers. 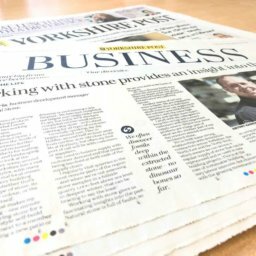 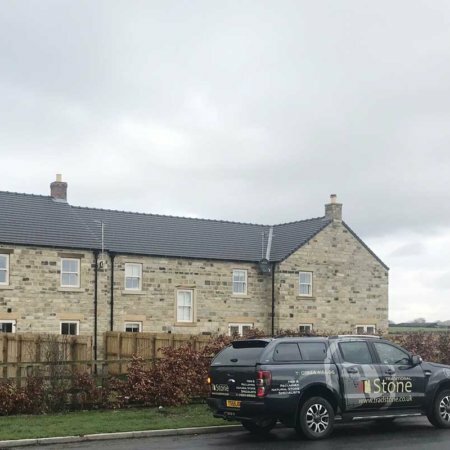 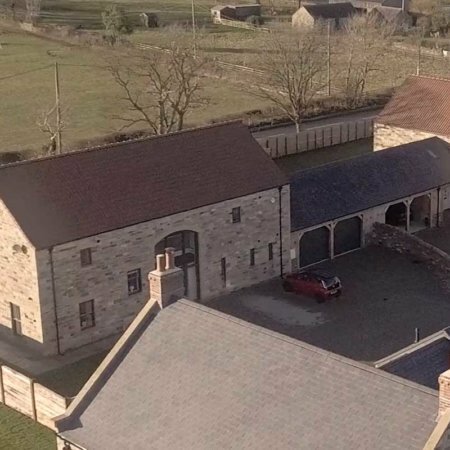 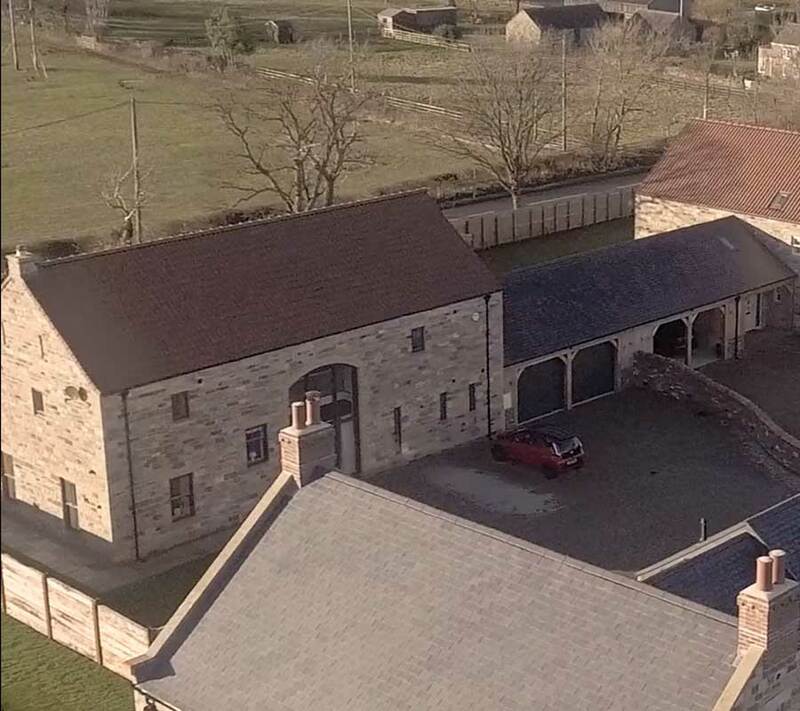 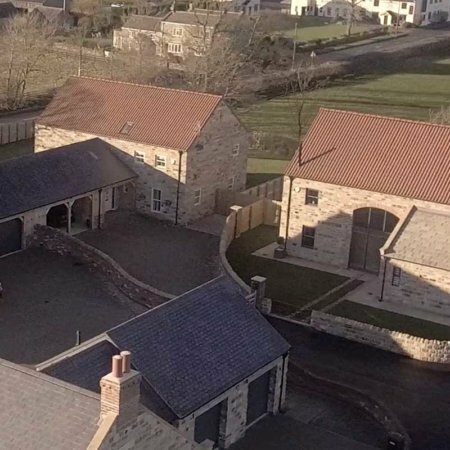 In total Traditional Stone supplied approximately 1300sqm of reclaimed walling stone for eight executive residential dwellings in North Yorkshire. 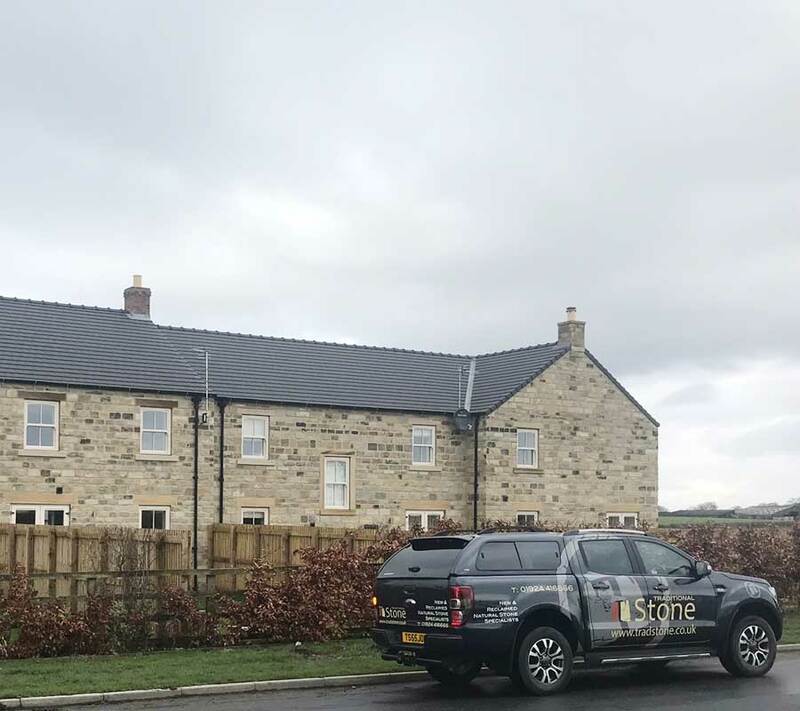 We are pleased to be supplying the contractors next development, which is another high quality residential project in North Yorkshire. 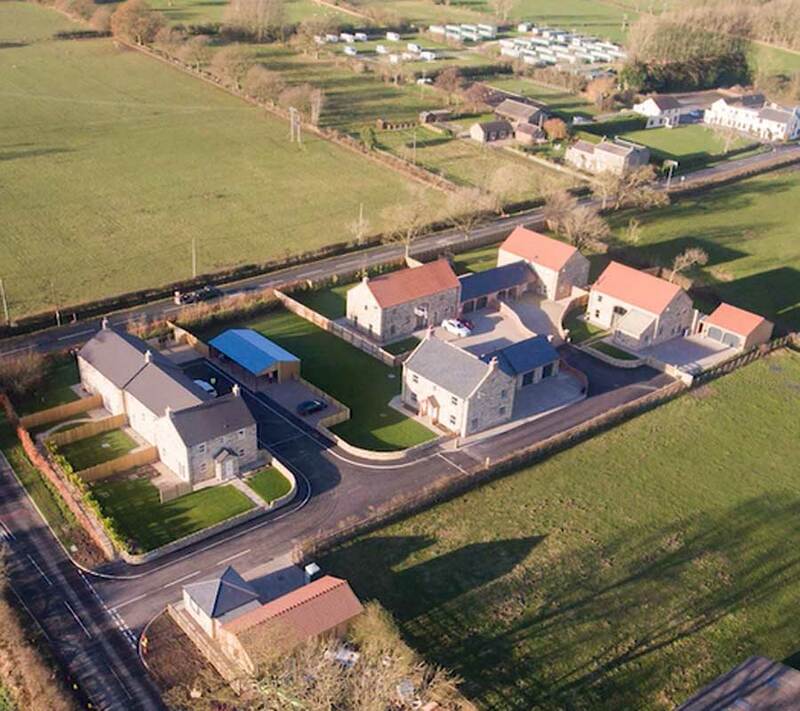 If you would like further information on this or any of our current or past projects please call our office on 01924 416666.